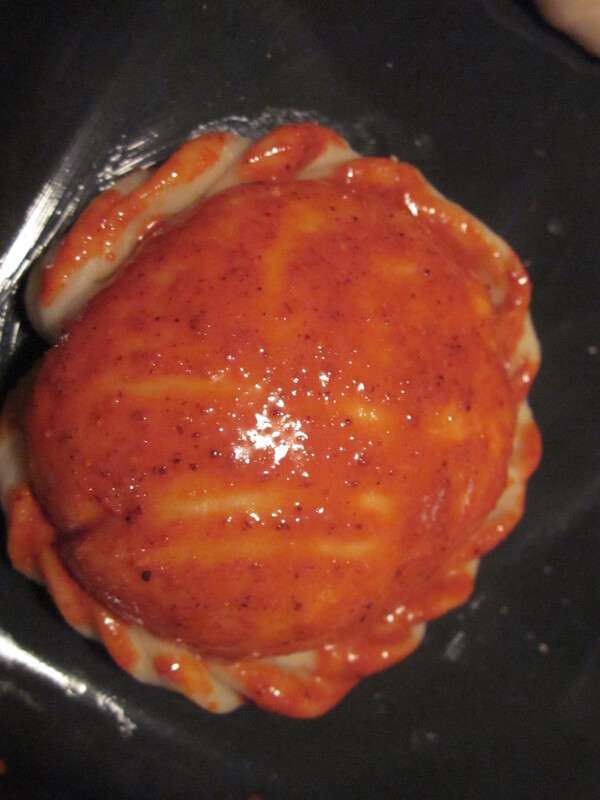 The name of this empanada is Spanish-Quechua. Puka in Quechua means red and Capa in Spanish has two meanings: layer, cape. 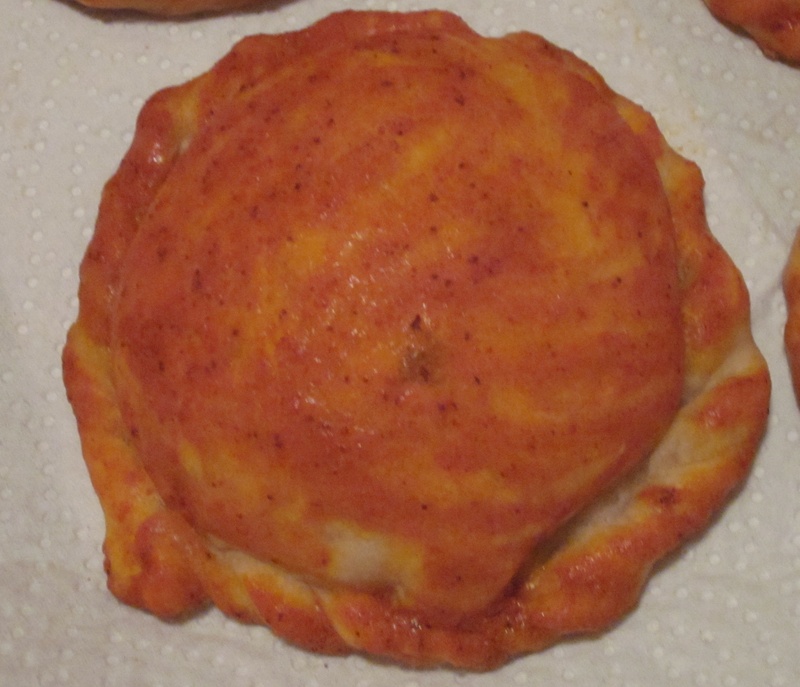 I think the name evolved because you have a nice round red layer that is the shape of a cape that covers the empanada, so it makes sense to called them Pukacapas. 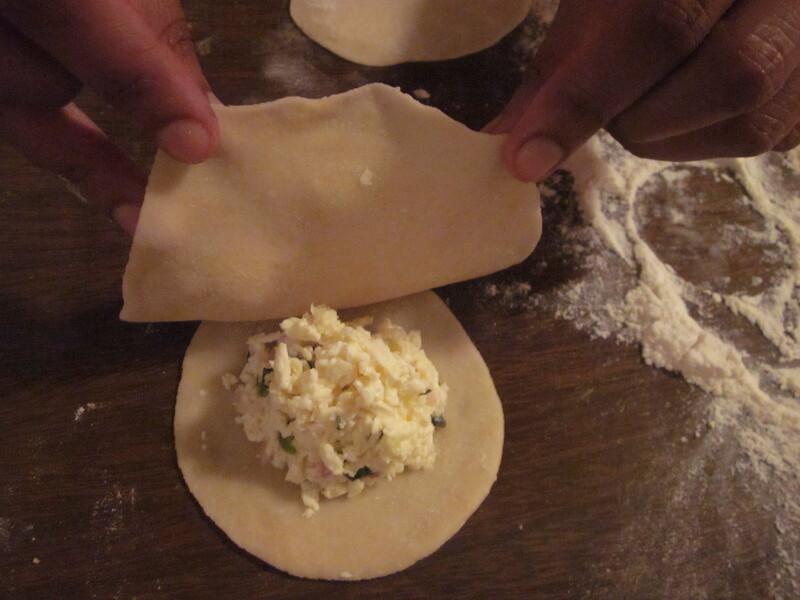 We love our mid afternoon snacks and I love this pukacapa recipe because of the filling. 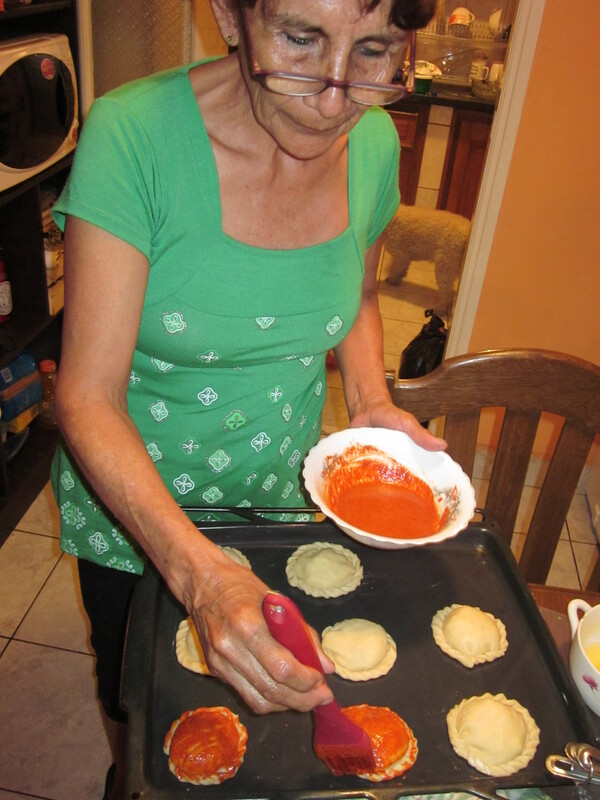 I used to eat it with an helado de canela (cinnamon gelato) or a good juice made of dry peaches called Mokhochinchi. 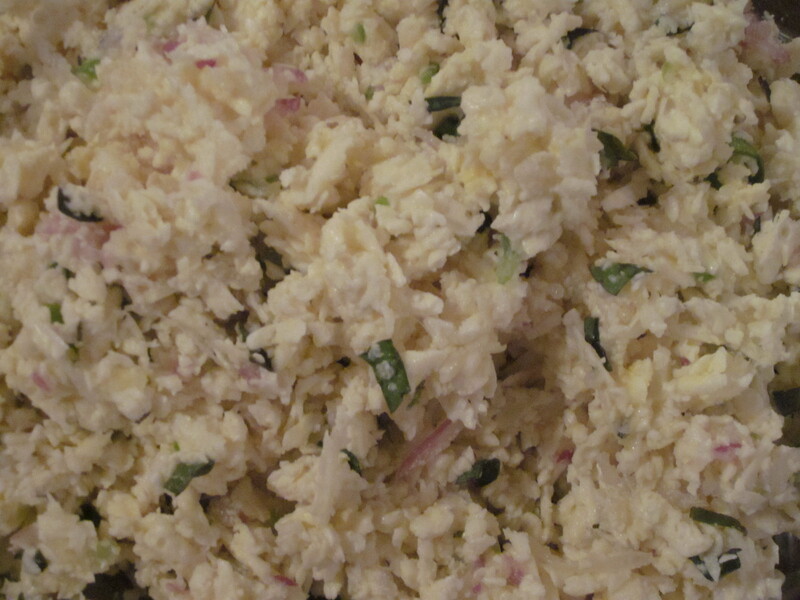 Mix all ingredients in a mixing bowl and put aside. 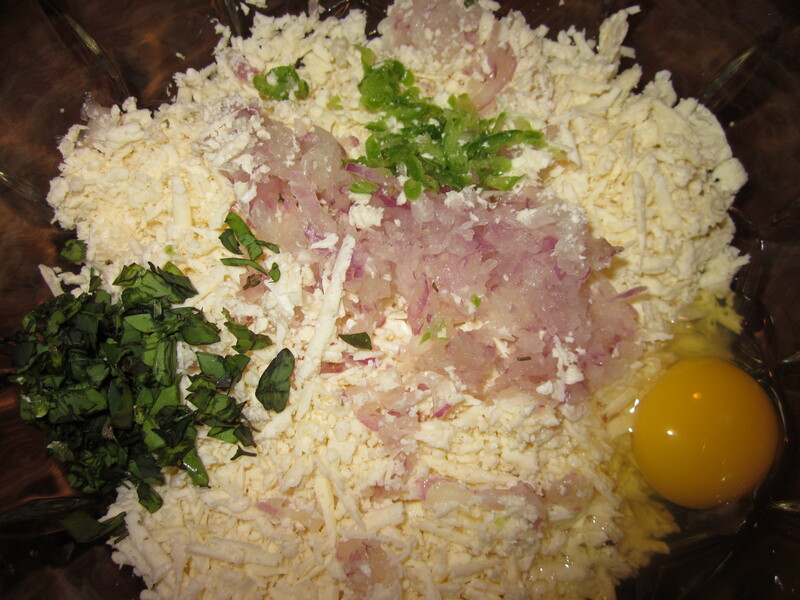 Mix all ingredients and set aside. It has to be well mixed. 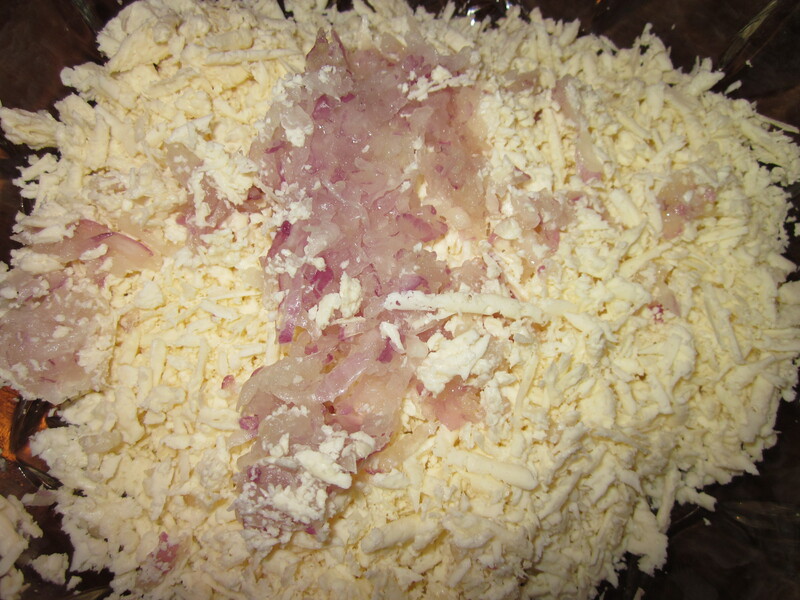 Sift the flower in a mixing bowl. Shape the flower in volcano shape. Heat the crisco close to boil. 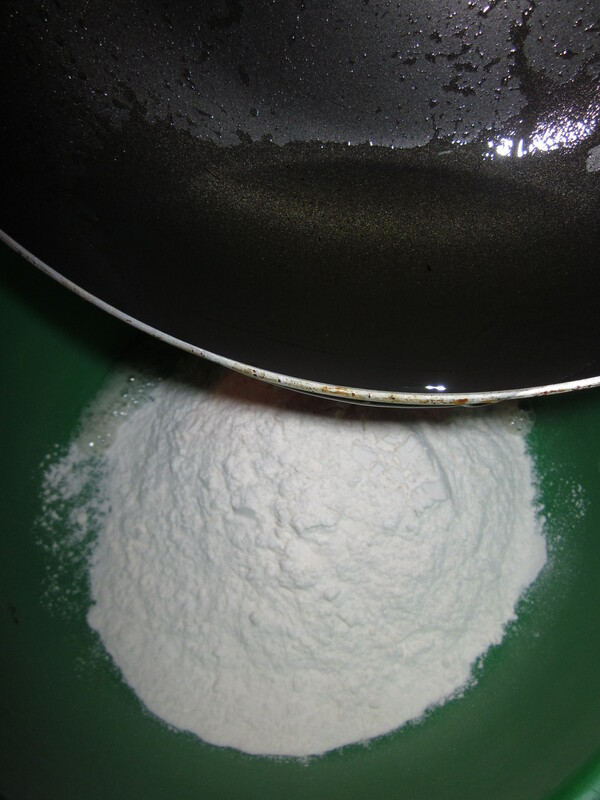 Add this hot oil to the flour, you will see how the flower effervesces. Mix with a wooden spoon. Disolve the yeast in the water. 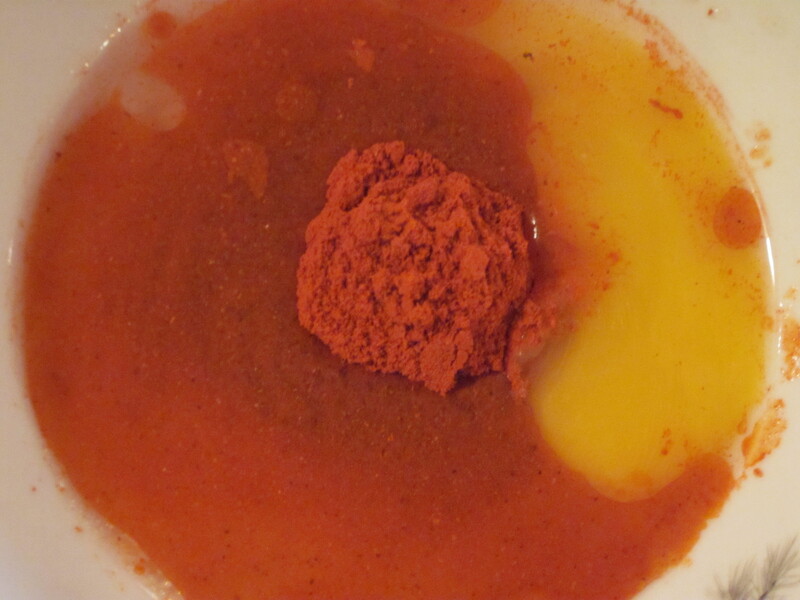 Add this mix to the flour along with the eggs yolks , salt and sugar. 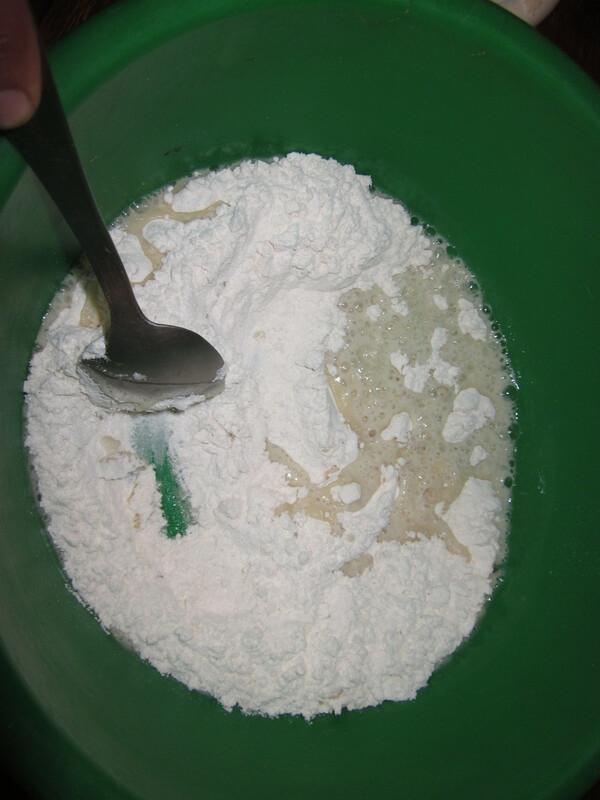 Mix until all the ingredients are well mixed in the dough. 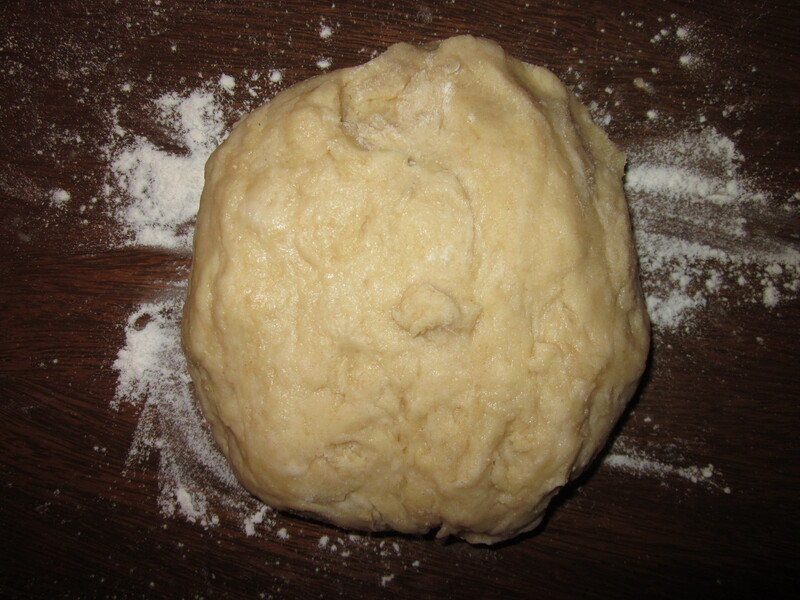 It’s very important to knead the dough forcefully on the table the dough for at least 5 min. 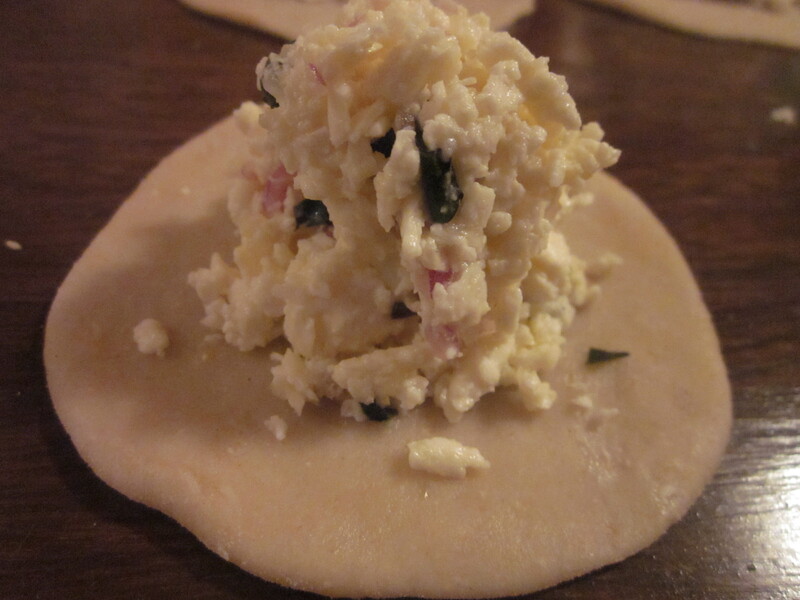 (My Mom slams the dough down on the table, throwing it from up high for about 3 minutes). Make a nice ball and divide in 30 pieces. 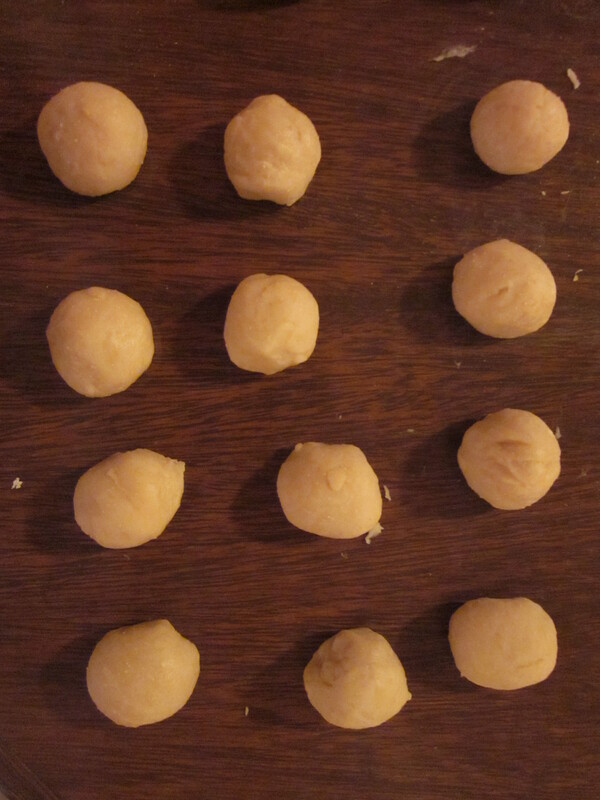 Shape each piece in small balls and with a roller pin, flatten each piece until it’s the size of the cup,. 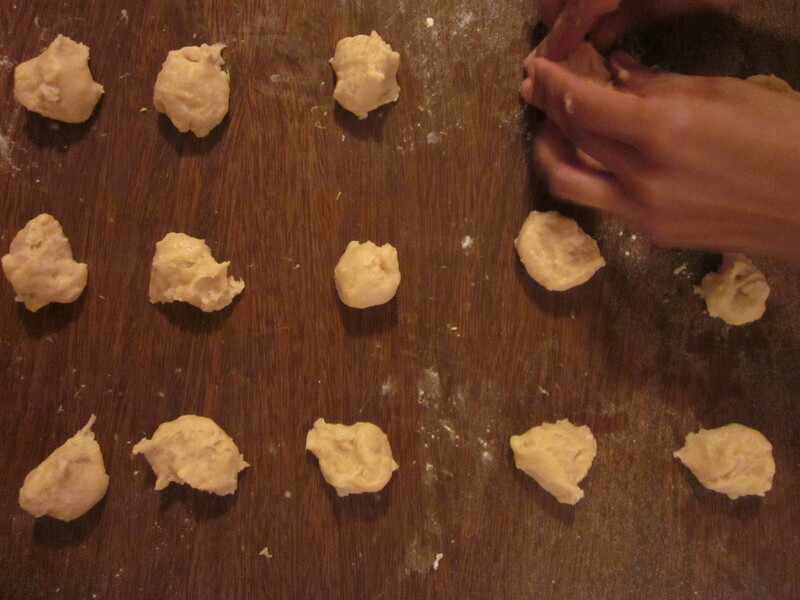 If the dough is a little bit too sticky, add some flour to your surface working area. 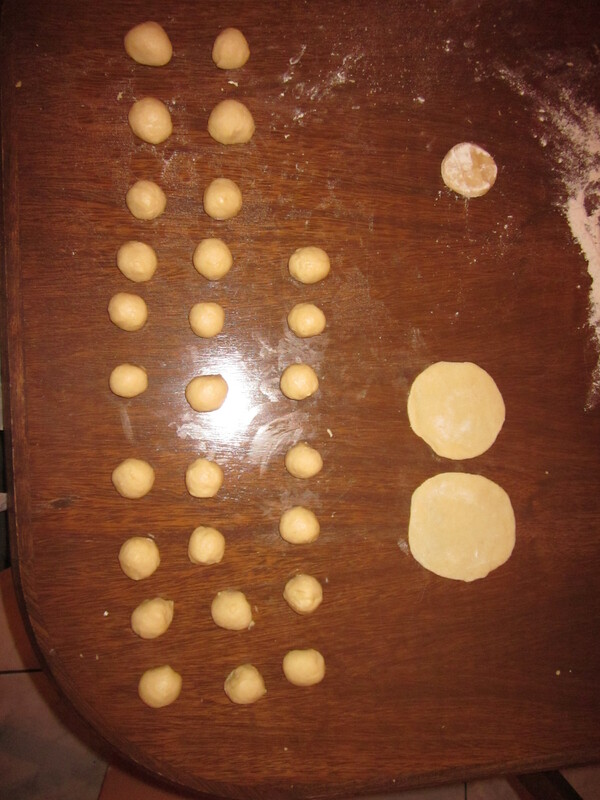 After all of them are flat, add 1 tbs of the filling mix in the center of the 15 discs, making sure ther is a nice pile with no filling on the edges of the disc. Use another disc to cover and press well to seal the edges. 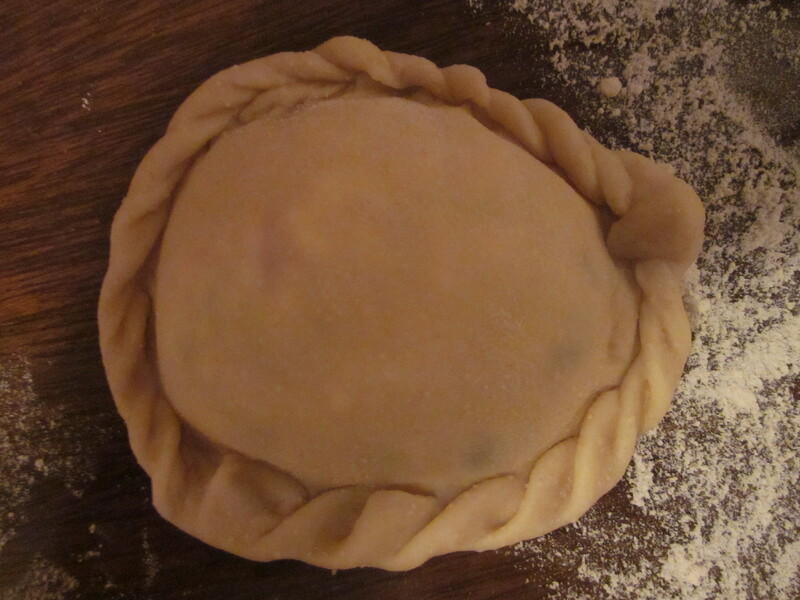 After sealed, do a nice braid twist around the edges of the dough. 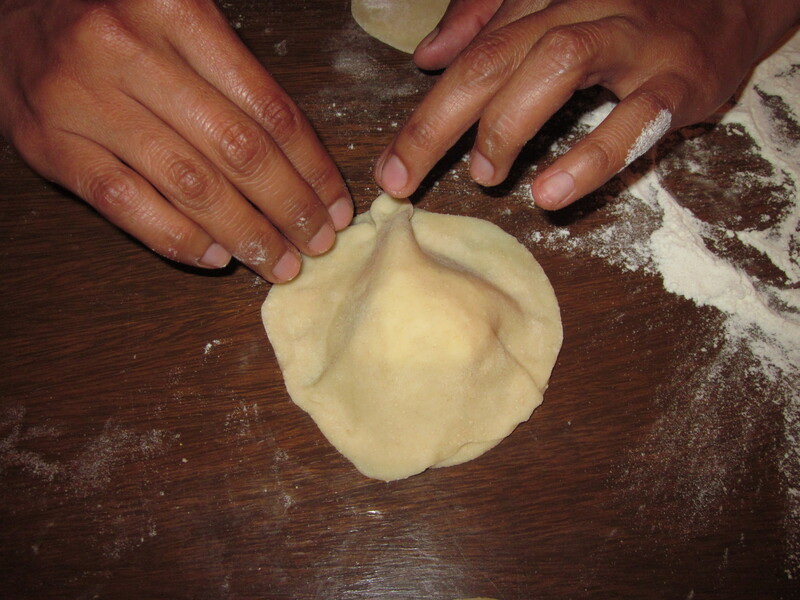 If you don’t know out to braid the dough, you can use a fork to press the edges down. 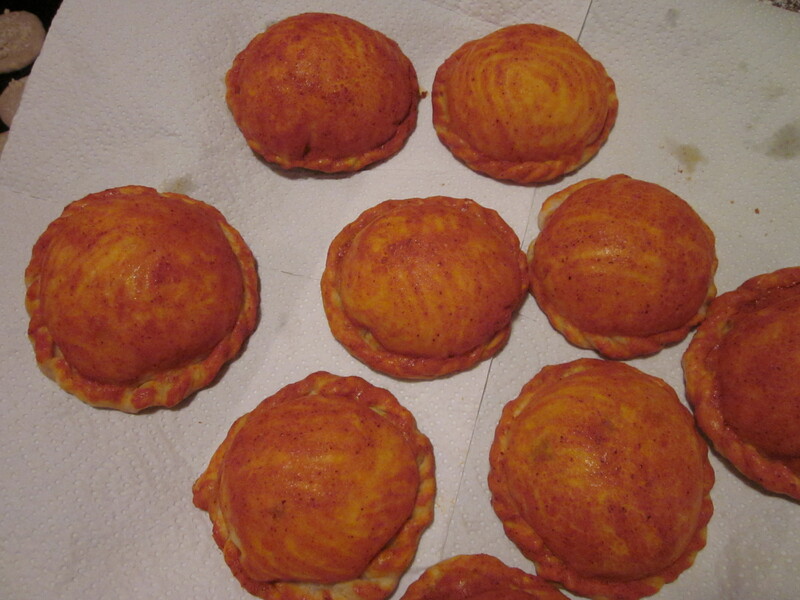 Put the pukacapas on a baking sheet and using a brush, cover with the paprika and yolk mix. 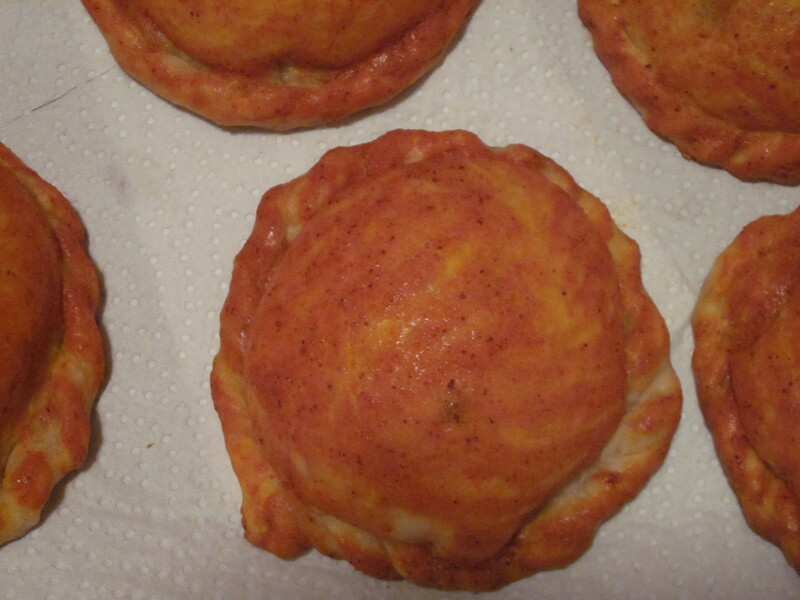 Bake them for 15 min the bottoms look golden.